If you're like many other Queensland homeowners looking at your aging flooring, you might be considering whether it's worthwhile having timber floors. This is most likely to be the case if you're looking at the stains and worn spots in your carpet, and considering whether it's worth the effort to replace them. But if you already have timber floors and they're looking a bit lacklustre, you're probably wondering the same thing. The average lifespan of household carpet is a mere 5 years. Of course, the more you pay, the longer it'll last, with some top-of-the-range varieties averaging more like 10-15 years. But that's also dependent on the lifestyle of the occupants, and carpeted homes are always under threat from wine stains, mud tracks, and animal dander that simply can't be avoided. Tiles and laminate floors may last a little longer, but they're prone to premature aging in terms of style, and when they're damaged in one part it's often expensive and very conspicuous to repair them. Timber floors are a lifelong investment. Generally speaking, their lifespan is the same as your home's - except that they'll outlast it, too. It's often the case that even when a home is being demolished, the hardwood timber floors are still in such good condition that they can be pulled up and given a new lease on life in a new home. It does depend on the variety of the timber, but generally, there's no ongoing cost of replacement with timber floors. While they might cost more to lay initially, they'll certainly save you money in the long run. Few people could deny that timber floors look better than other floor coverings. Wide expanses of polished timber bring even the most modest of homes some level of sophistication and beauty. Timber's effortless ability to inject style and luxury into any space is just one of the reasons that it's a consistent feature in many high-end and architecturally designed homes on the market. But timber flooring isn't just attractive because of its striking visual features. It's also much easier to clean, texturally more pleasant underfoot, and a far healthier option for people suffering from allergies. Unlike carpet, timber floors don't trap dust and microscopic creatures like dust mites, so they're more suitable for people with asthma, allergies, and respiratory problems. And while we're on the topic of health: timber is a natural substance, which won't emit the same volatile organic compounds as synthetic materials (like carpet fibres) do. Timber floors are available in many varieties of timber, which offer many different colour palettes to work with when you're styling your home. Some homeowners will be attracted to the red, pink, and red-brown saturations of Mahogany, Brush box, Rose Gum, and Kempas, which work well with traditional interior styles. Those favouring a more minimalist, modern, or Scandinavian décor will likely appreciate Teak, Tasmanian Oak, Blackbutt, or even Pine flooring. But generally speaking, most timber colours will work with many different decorating styles, giving the homeowner an elegant aesthetic to build on. But the beauty of timber flooring really lies with just how versatile it is. It's possible to change the hues of your timber floors, with some professional sanding, and by staining with the right coloured finishing product for the timber. The finished appearance will be limited by the natural variations in the timber, but depending on the sanding, any pre-treatments, and the finishing products, it's possible to achieve colour variations to match your taste. Besides holding their value, timber floors will actually add value to your home in attractiveness. 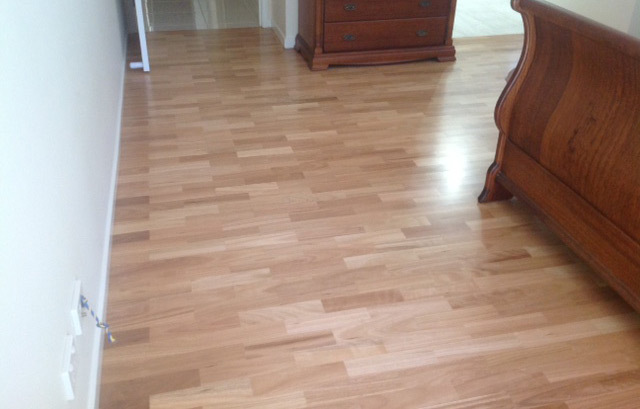 It's easier to market homes with timber floors, for several different reasons. 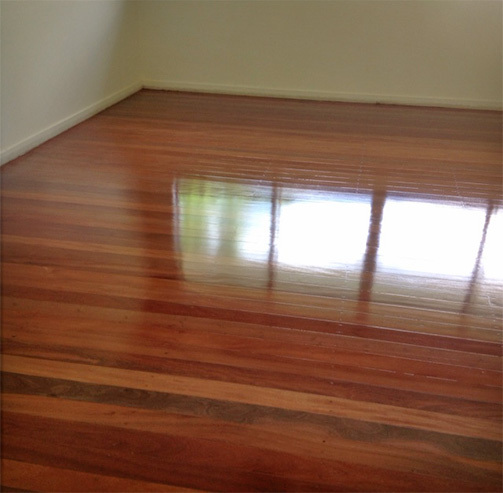 Timber floors work well in rental properties. Even when they suffer the same wear and tear as carpet, they don't need to be replaced: they can be sanded and restored back to health, instead of being thrown away. But they're also easier to clean, so they're also more attractive to tenants, who likely appreciate the fact that there's no trace of the previous occupants—probably as much as they appreciate the natural beauty and neutral aesthetic of the timber flooring. 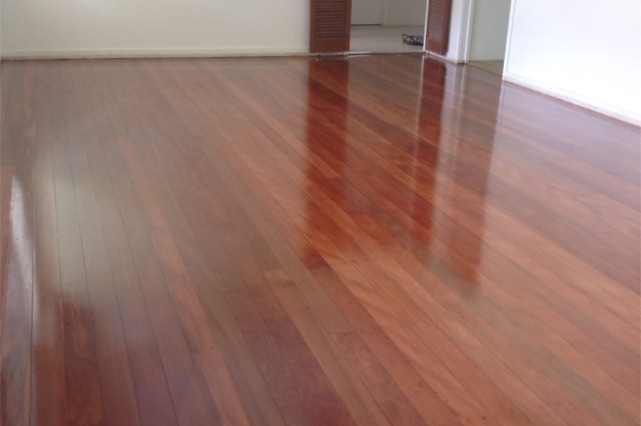 For homes on the market, timber floors are always a unique selling point. Buyers are often attracted to hardwood floors simply because they're testimony to the sound structural integrity of the home: they're a good indicator that the home was thoughtfully constructed, and that the foundations and frames are in good condition. Many will see timber floors as a renovation opportunity, adding more value to their new property by restoring floors that might be looking a bit neglected. Regardless of the reason, statistics in real estate consistently support the fact that homes with timber floors are easier and faster to sell, and sell at higher prices than those with other floor coverings. Besides holding their value, timber floors will actually add value to your home in attractiveness. It's easier to market homes with timber floors, for several different reasons.There are heaps of reasons to choose wood flooring in your home, but one of the biggest is its capacity for carbon storage. It might come as a surprise, but in choosing timber flooring, you can help in the fight against climate change. Wood sequesters, or stores, carbon. As part of their life cycle, live trees absorb carbon dioxide from the atmosphere and convert it, so that they emit oxygen (for us to breathe) and store the carbon. The carbon remains stored within the wood for the life of the timber, and it's only released when the wood rots, decays or is burnt—which means that timber, as well as our native forests and plantations, is useful in the absorption of greenhouse gases. Carbon sequestration in live trees, combined with the long-term storage of carbon in timber products, is an important way that we can reduce our overall greenhouse gas emissions. Using natural timber products in construction doesn't just deliver a gorgeous finished product to enjoy over the long term: it's one of the ways we can support sustainable industries - like plantation timber - and live comfortably while we support our environment. Perhaps the best reason to install or keep your timber floors is just how forgiving they really are. Timber floors can suffer decades of neglect, and still have the potential to be restored back to their original state of natural beauty. 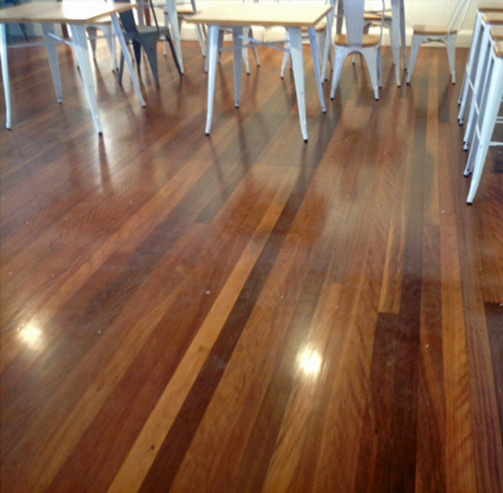 Timber floors get harder over time, becoming more resilient to staining and damage with daily wear and tear. Vacuuming and gentle mopping is mostly enough to maintain the look and feel of your timber floors, but over time they'll likely need just a little more help, with a good sand and polish. It's possible to extend the life of wood floors with a simple maintenance coat, which takes just one day to complete, but adds many more years of use to your investment. The floors need to be in a reasonable condition to do a rejuvenation coat, with just a bit of wear and tear in the way of minor scratches and a dull overall appearance. But if they're quit neglected and damaged, they can still be brought back to life, with a full re-sand and a few coats of professionally applied polish. D.R. Main Floors are your floor sanding specialists. We’re famous for using only the best materials, machinery and techniques to restore your timber floors back to their former glory, delivering the highest quality finishes to reveal the natural beauty of your unique timber varieties. Contact us anytime for obligation-free advice, and we’ll be happy to show you why your home is better with timber floors.